Plumbers in the Austin, TX Area for Water leaks, Clogged drains and all Plumbing services in Austin and Travis County, Texas. 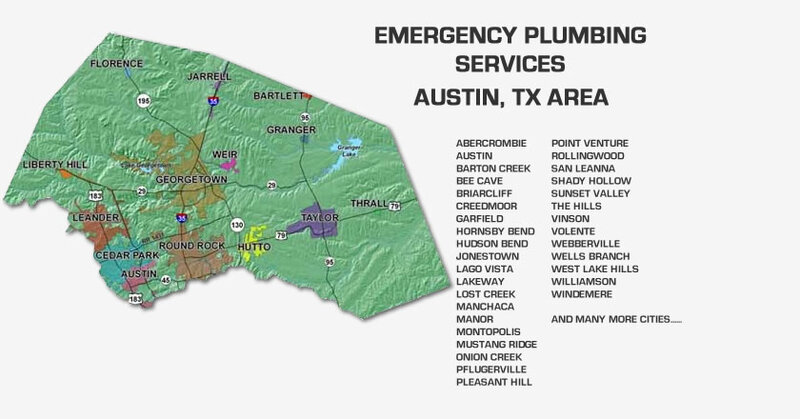 Emergency Plumber and Plumbing Company in the Austin, TX Area. 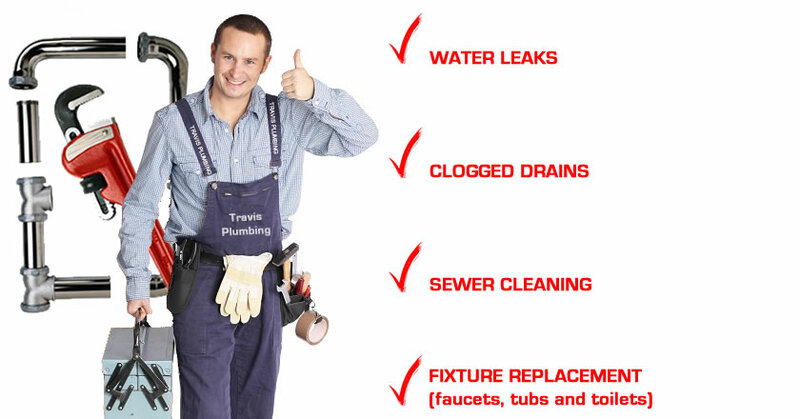 When it comes to your plumbing needs, Travis-Plumbing is your local plumbing service solution. Our company only works with certified and licensed professionals who can see to any of your plumbing needs. We have built a reputation for providing quality service to our customers and our community, and we commit to doing the same in the future. If you need emergency plumbing services, it is good to know that Travis-Plumbing is available 24 hours of the day, seven days out of the week. Travis-Plumbing specializes in pipes installations, sewer cleaning, video inspections, water heater repair, gas leak detection and repair, drain repair, drain cleaning, clogged drains, water leaks, and countless other services. We are proud to offer outstanding service while still being able to offer competitive rates for all plumbing services. • Professionalism – Our certified staff members take pride in performing top quality work and keeping our customers satisfied. • No hidden costs – We do not believe in hidden fees or costs. Once we quote you a price, that is the price you will have to pay. Our professional plumbers are able to perform new construction plumbing services, kitchen and bathroom remodeling, and home additions. Additionally, they are able to use a trenchless sewer replacement, replacing your pipes without destroying the concrete, driveway, patio, or landscape. 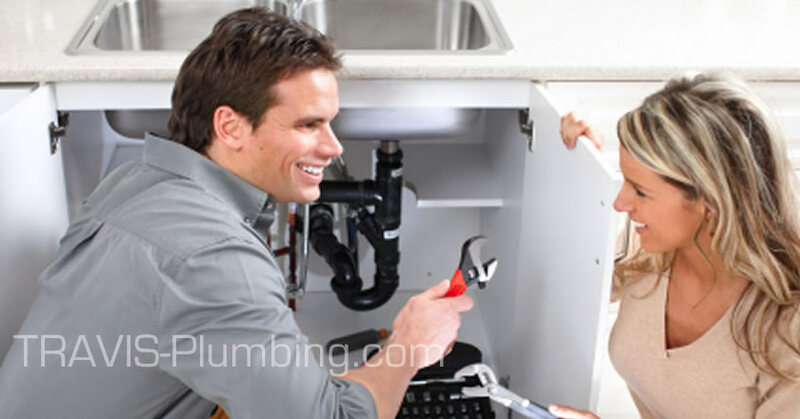 You can trust Travis-Plumbing with your plumbing needs, we are available 24 hours of the day at 512-605-1646, do not delay but call right now and find out what we can do to help you with your plumbing needs. © Copyright 2019 Travis Plumbing . All rights reserved.